​I recently compiled the first three of my Con Fluff collections into a single volume titled Fuzzy Words. The digital version is currently on sale or can be borrowed on Amazon, and I am in the process of having print copies done, which is very exciting! I am a bit of both; nearly every story begins with an outline, but I don’t force myself to stick to it once the words start to flow. I like to say that “stories write themselves” and it has proven to be true on many occasions. I’ve had funny stories turn serious and drabbles that grew into a few thousand words. My Christmas story for 2013, “Christmas Wishes,” featured a character that was spending Christmas away from his family for the first time. I certainly sympathized to his plight, having spent my first Christmas away from family fairly recently. My biggest influence is easily Isaac Asimov. In addition to enjoying his science fiction novels and short stories, I loved the way he would write his own thoughts about how a story or book came to be, the “story behind the story” as it was. I have even gone as far to incorporate that device into my own short story collections. As of late, I have been reading books by furry authors to get an idea of what is out there. I found Argo by Rick Griffin to be quite thought-provoking, with some interesting ideas about robots. I enjoy your typical nerd hobbies like video games and comic books, but also like to go out camping and experience the great outdoors every so often. I also record two podcasts, a short slice-of-life podcast called 300 Seconds and a convention discussion one I record with friends named Con Talk. Don’t give up no matter how badly you initially fail. I sold exactly two copies of my first e-book the first year that I put my work up for sale, and sold exactly zero paper books at Furry Fiesta a few years ago. Was I discouraged? Hell yes, I was. Did I stop? Hell, no. A selection of short stories can be found on my website, eduardosoliz.com. I’m currently trying to upload a new one every month. In addition, the site also contains links to my e-books, blog and podcasts. The amount of creativity to be found in the fandom is nothing short of incredible. Even if a fur isn’t an artist or a musician or a craftsmaker, or a writer, nearly every furry is a creator, even if all they create is a fursona. 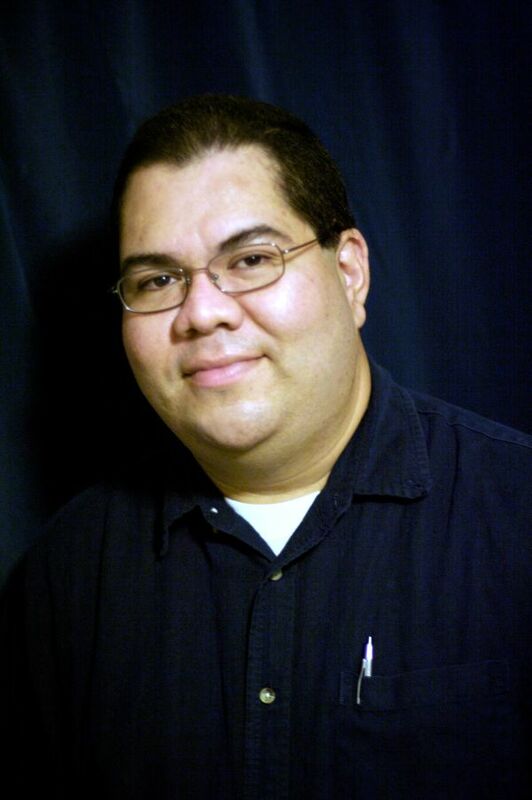 Check out Eduardo Soliz’s member bio here! This entry was posted in Uncategorized and tagged eduardo soliz, member spotlight. Bookmark the permalink.